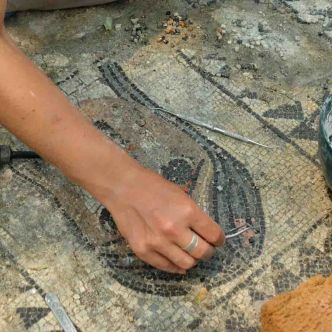 Valorisation mission of the Fourni's estate, Rescue, and Consolidation of mosaics. 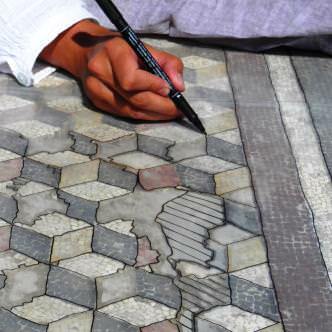 Research and Documentation Mission of Albanian mosaics, in situ restoration of pavements closed to sea level. 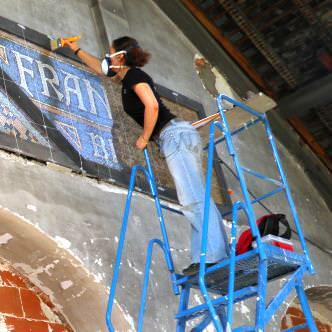 Documentation and protection of a contemporary mosaic (1893), realised with Briare's enamels. 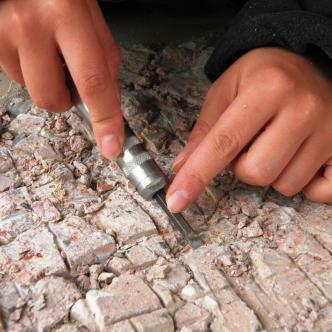 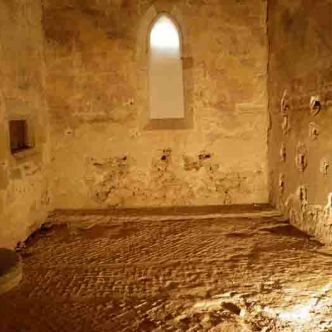 Emergency removal of the mortars imprints of a medieval tiling. 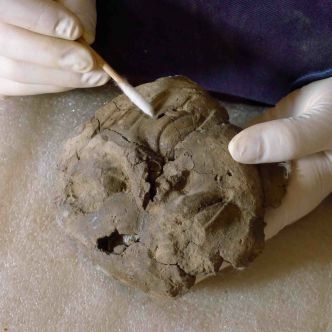 Cleaning, consolidation and filling of the lacunae. 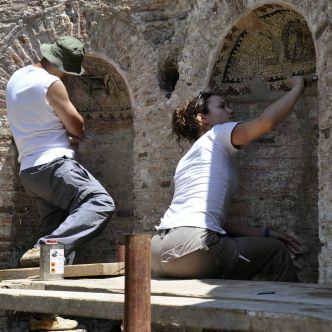 Research and Documentation Mission of Albanian mosaics, in situ restoration of Butrint pavements. 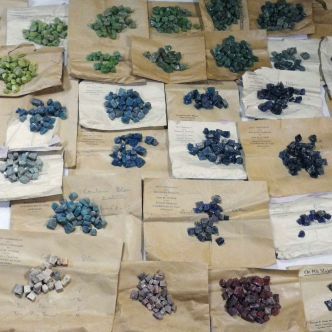 Researchs, restoration, and scientific analyses of fragments and tesserae coming from the Great Mosque of Syria. 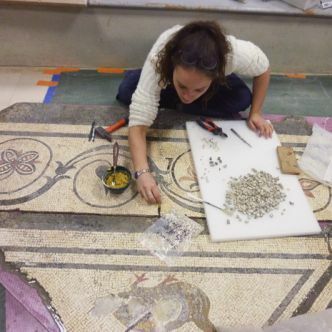 Transfert on a new support and treatment of lacunae of a XIXth mosaic. 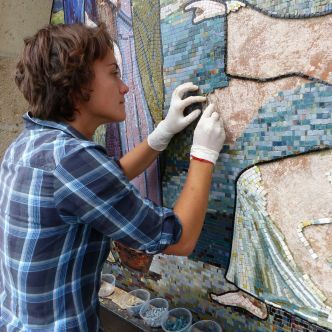 Conservation of a IInd century A.D in the museum Théo Desplans of Vaison-la-Romaine. 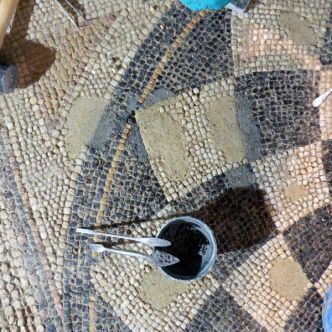 Cleaning, Reassembly and Gaps filling of the excavations material of Saint-Denis. 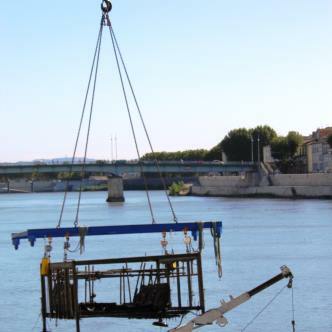 Emergence of the gallo-roman shipwreck “Arles-Rhône 3” from the Rhône river. 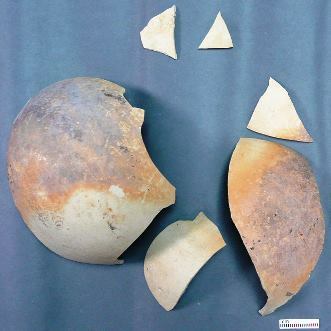 Collection inventory, health study, restoration and preventive conservation.